Stimulate energy point on the head to get in good condition of full body. Pleasant aromatic fragrance of Rose comes first. Then, make-up residue and impurities of sebum-filled will be cleansed easily by providing moisture. Cleanse make-up and impurities on the face to make skin soft to get further treatment effects. By supplying ingredients of Rose and wheat protein, firm and smooth skin will be attained. 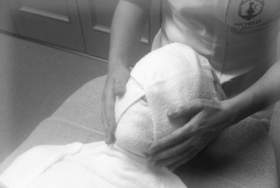 This original massage will harmonize both body and mind recovering skin condition. Michelle Bio’s treatment will be completed with an effective cream moisturizing　for smoother skin.